With the rapid changing fashion sense and fashion rules, the makeup trends have been changing too. There are new techniques and colors every year in fact every season. If summer is all about nudes and lighter shades, then winter is all about dark and really heavy shades. There are numerous makeup looks that one can go for. Applying makeup is more like an art. Makeup tends to make the features prominent. There are numerous products each one for a different purpose. Makeup is an art that every single person can be an expert at and thanks to the increasing technology, one can open the internet and get different makeup tutorials and can learn from them. There are some products which are extraordinarily good. 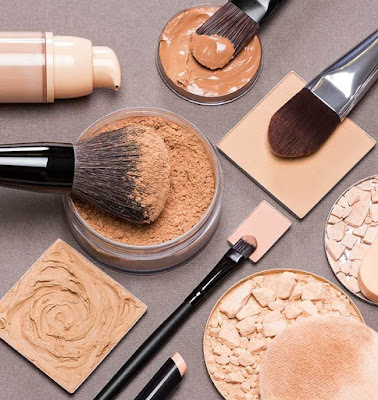 These are the products that the YouTube makeup gurus tell everyone to have in their makeup collection because if they do not have these, then their makeup collection is simply incomplete. 10 of these products have been mentioned below. The L’Oreal INFALLIBLE 24-hour foundation. Now finding a foundation which suits all skin types is a very hard job. Some people tend to have oily skin and some have dry. However, the L’Oreal infallible is suitable for all skin types and that is what makes it a ‘’ride or die’’ product. This foundation ends with a very natural finish and makes your skin look as flawless as possible. You can build the coverage depending upon the event and it is not that expensive as well. Primers tend to fill the pores, smoothen the skin and also increase the time that the foundation stays on the skin. This smash box primer is everything that you will ever need. As it says ‘’Photo Finish’’ it for sure is perfect if you plan on going for a photo shoot. Moreover, the famous youTubers have talked about it in very good words and many have mentioned this primer, in their favorites. Finding a good mascara is literally the hardest thing ever. A mascara that not only suits your lashes but also prevents the fall off the lash hair is very difficult. The Benefit BADgal band mascara has a wand which treats every lash separately. You won’t need falsies after you use this mascara because it makes your natural lashes look the most voluminous ever. Being a glow queen is never going to be out of trend. You want the perfect glow as well? Well, you have to reach out for the Too Faced Love Light Prismatic highlighter. This highlighter is available in three shades. One is very beautiful glowy lilac shade. The other one is in between dull golden and copper and the last one is a very warm pink. All three shades are perfect for every skin tone. Just like finding a mascara, finding a blush is a really hard deal and that is because some blushes tend to add a very ake and bad quality tint to the cheeks. However, this benefit coralista is the most natural blush you will have ever used. This blush has a very smooth, pink shade which will make you look beautiful. When the best setting sprays were short listed, this setting spray was put into the list. This setting spray provides the face a very matte finish. This spray is literally everything the makeup needs for it to stay for a longer duration. It makes the makeup stay on your face for a longer time. It also provides the needed moisture to the face. Coming to lipsticks, Revlon has always been known for producing lipsticks with not only beautiful shades but also the lipsticks which have the best formula. This lipstick is one of them. it is a very warm shade which will make your winter’s perfect by all means. Now youTubers have always been crazy after this concealer. This concealer ensures you a very natural finish. It covers all the eye bags and dark circles under your eyes and also the hyper pigmentation on your face. Now this lipstick does not need an introduction because it is perfect in every way. It is the best red shade you would have ever seen which suits every single skin shade. It is also super long lasting. Last, but by no means least, Falsies. Now falsies are the hardest makeup product to find. These lily lashes are everything that you will ever need. These are the most natural and volumenous lashes ever. Moreover, numerous celebrities have worn and approved them.